A great Easter gift for the little ones! 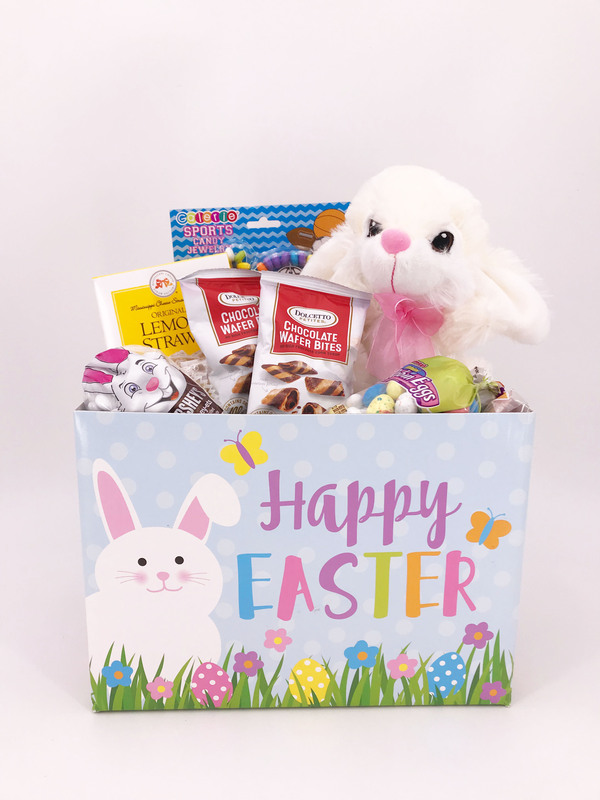 Full of treats and goodies this Easter basket will make Easter unforgettable. Easter Bunny, Chocolate Wafers, Lemon Straws, Jelly Beans, Chocolate Hershey, Candy Necklace.